It's important to know your numbers and keep a healthy heart. Take action -- get your blood pressure checked as soon as possible. If you have high blood pressure, take steps to protect your health. 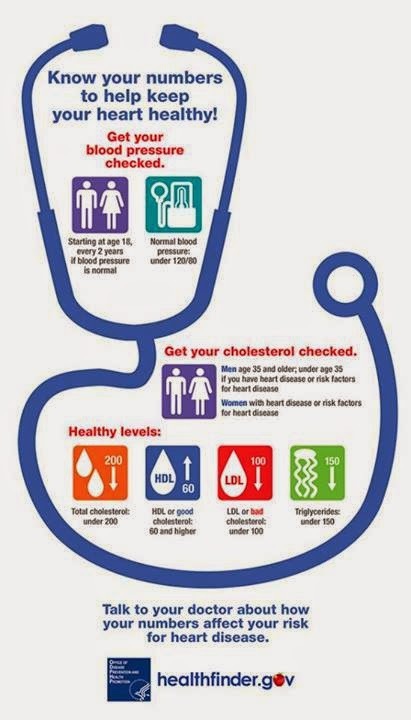 Check your blood pressure at least every 2 years starting at age 18. It’s important to check your blood pressure often, especially if you are over age 40. Find additional information on high blood pressure and other chronic diseases at healthfinder.gov. High blood pressure and cholesterol management is a key strategy of the Million Hearts Initiative, an effort to prevent 1 million heart attacks and strokes over five years. Colorado participates in this initiative and you can too. Be one in a million - make your commitment and pledge today.